Theron Ward, Aldous Weaver, and the Infamous Kendrick the Cold have been separated. But once again destiny calls and dark prophecy looms as the endless wars of sword and sorcery rage on. On a quest to reunite, the champions will battle through hostile lands against monsters of dark fantasy and men whose minds are darker still. An ancient cult with ties to Leviathan reaches down from beyond, their intent: to turn all of the living into creatures known as Friends of the Void. 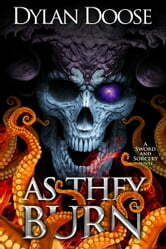 Gods and demons strike deals and fight their own magic wars. Forces operate beyond the realms of reality. Fate’s pull cannot be denied and Theron, Aldous, and Kendrick will meet once again. Will they triumph with fire and sword? Or will the Friends of the Void achieve their dark fantasy and defeat the three heroes, laughing and dancing as they burn? Don't miss the dark fantasy that reviewers are calling "gritty, fast-paced and compelling"—get your copy of As They Burn today! We get bits and pieces. Answers and more questions. Strong characters and a strange unusual storyline. Loving it ! I received an advanced reader copy of this book in exchange of a honest review. The continuation of a story full of twist and turns, that takes you in a voyage that will hook you more than what you were expecting (if not already hooked). 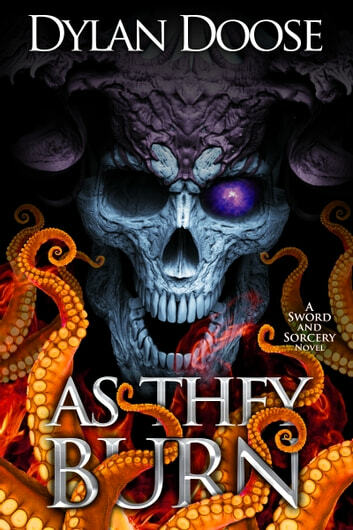 This book is a really good read and, I think that the fans of Joe Abercrombie will not become disappointed if they star reading this series. Although you can started reading the series in any order it is recommended that you start from the first book (Fire and Sword) in order to get introduced to the character’s story. In an overall I really enjoyed this book and Dylan has become, for me, a writer to follow and read.